Duggar Family Blog: Duggar Updates | Duggar Pictures | Jim Bob and Michelle | Counting On | 19 Kids: Merry Christmas! Jill and Derick Dillard are gearing up to celebrate Israel's first Christmas and their first Christmas as missionaries in Central America. Michelle Duggar sent a banner to her daughter and son-in-law that reads "Alegria Para El Mundo" ("Joy to the World"). In their December ministry update, Jill and Derick report that they have had many chances to share the Gospel while temporarily living in Guatemala for language school. They also enjoyed eating Thanksgiving dinner with other Americans. So nice to share such a sweet family pic on such a blessed holiday. Prayers are with that little family. Merry Christmas to you all! May you all be blessed and enjoy being with one another. Being with my family is my favorite part of Christmas, besides rejoicing in all the blessings and gifts we've all received by Him. Merry Christmas Jill, Derick and Israel and God bless you. I'm always praying for your safety. Wishing ALL the Duggars, including Joshua, a very Merry Christmas and a happy, healthy and prosperous NEW YEAR 2016! I miss your show VERY MUCH!!! Felez Navidad to the Dillard's and Merry Christmas to the Duggars. We love and miss y'all ! Have a Merry Christmas and a Happy New Year! Merry Christmas from Olivia in Illinois. Merry Christmas Duggars.Jinger has turned 22.Happy 22nd Birthday to that sweetheart. Merry Christmas and a happy and healthy 2016. Merry Christmas! Wishing the Duggar family, Lily & Ellie and all my brothers & sisters in Christ a beautiful, memorable and very blessed Christmas. Praying for Jill & Derick to have a safe & happy holiday. I just wanted to say Merry Christmas and do not let people hurt you by the things they say. Casting the first stone seems to be easy for some people until they are the ones who are in the line of fire. I know that God will bless your family and I will continue to pray for all of you. They ARE NOT missionaries. Why do you keep saying they are? A missionary is someone sent by Jesus Christ just as He was sent by God. "As the Father has sent Me, I also send you." (John 20:21) They do not have to be sent by an organized church. A missionary does not have to go through man. They are called by God. Just like a pastor does not have to get a degree through man to be legit. They are also called by God. Merry Christmas to you, all! Merry Christmas everyone! Remember the Reason for the season. For unto us our Savior is born! Be blessed Be safe I pray and hope all members of the Dugger Family Are Blessed.No Christian who walks in faith is perfect. I am a example of Gods forgiving grace.The duggers are a Christian family who have been attacked so wrongly. I pray God's blessings over this family. Aren't most people living in Central America Catholics; therefore, already believe in God? Too bad the Duggar kids weren't able to enjoy the fun of Santa Claus -- based on the real St. Nicholas. Merry Christmas from Montana and Wyoming. Derrick seems very skinny in the last photo. Hope all is well with him. 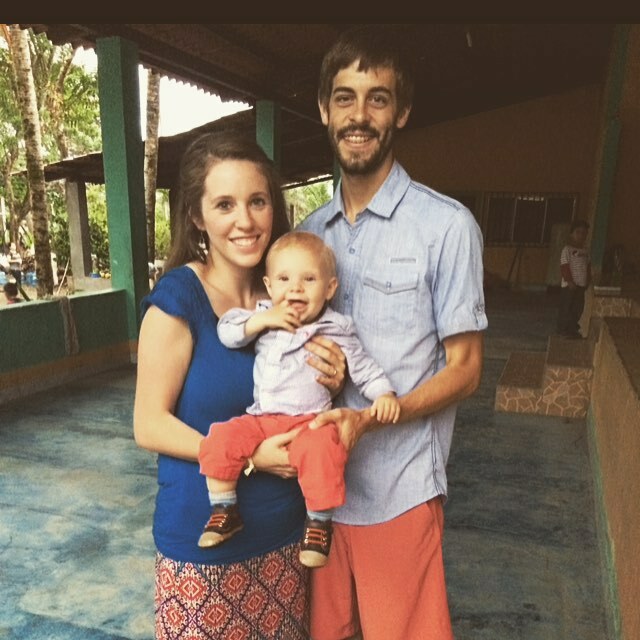 I live in Guatemala, Is there a way I could meet Jill and her family? Don't listen to any negetive comments!You guys are the best and what you're doing in Central America is great!Love you Dillard family!Will always be a loyal fan!! !